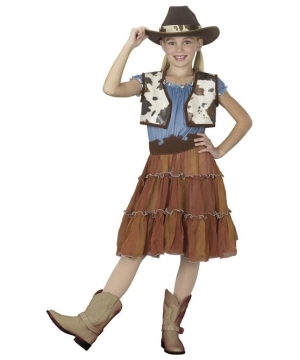 Your Brave little Girl Buckaroo will take on the Wild West with a classic Cowgirl Costume. Find a variety of Cow Girl Outfits made with your little Western Lass in Mind. These styles can be traditional or creative adaptations of Cowgirl Dresses. Enjoy these Western Girl Costumes in colorful schemes and unique styles. The Wild, Wild West is not just about male cattle wranglers taking side roles as crime fighters. Cowgirls were prominent in the old West because Girls had to prove themselves in a time and region dominated by the opposite gender. Because of this, Cowgirls developed tough characters that could match up against any counterpart. 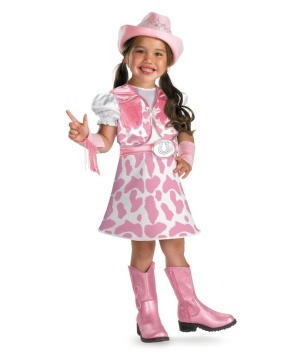 If you have a little Western Girl of your own, let her embrace her toughness with a Girls Cowgirl Costume. Let your Little Girl’s imagination run wild with a Costume designed to bring the old Western Fashion to the present day. Cowgirl Costumes add colorful fun to your Girl’s Playtime. Take your pick of Cowgirl Dress from a variety of styles that pay homage to the Western Pioneers. Cowgirls are now cherished characters in old folk tales and even modern stories. 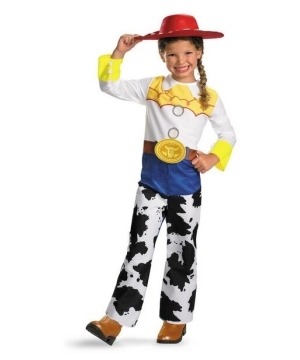 Personalities from Disney Movies have earned the love of Girls who would love to walk a day their boots; an example of this is the Toy Story Jessie Costume. Jessie has become a Disney Cowgirl Superstar that is often favored over any other character for Halloween. This popular Cowgirl Ensemble is among the many options that Girls will find appealing in this fun collection. These Cow Girl Costumes can be traditional or “cutiefied” versions like the Western Cowgirl Cutie Costume and the Wild West Cutie Dress. 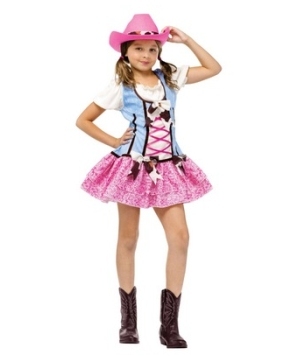 Your Little Western Diva or Rodeo Sweetie will put a smile on your face as she struts in a Dress from the Wild Wild West. 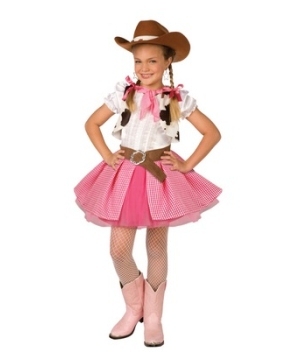 Cowgirl Costumes for Girls can make fantasies a reality for your little one. You will find a great selection at great prices and a pleasant shopping experience.